A good touch-up powder is always essential in one’s makeup kit. It’ll help battle any shine on your face and keep your makeup looking fresh and like new again. Sometimes I bring two kinds of powder along with me, a medium to full-coverage one which I use only when any makeup starts fading, and a light, usually translucent one just to get rid of inevitable shininess on my face. With powders to help with shine, I try to look for one that’s again, light and translucent because I don’t want to risk my makeup looking too cakey the more I apply throughout the day and because I only really use it on my t-zone since I like the rest of my face to look dewy. Of course, it needs to be effective too and help keep any oil at bay for at least a few hours or longer. 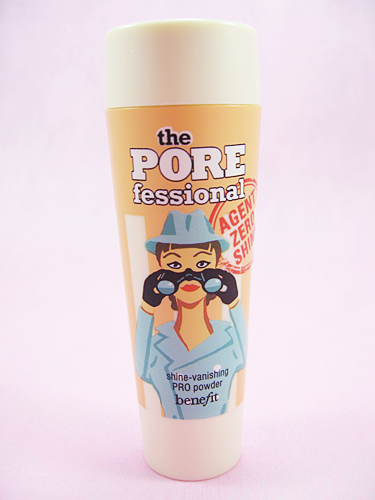 So you can bet I was excited to receive Benefit’s The POREfessional Agent Zero Shine Shine-vanishing PRO Powder during its product launch way back in November because it seemed to tick all the right boxes for me! Product info: Quickly minimize the appearance of pores & fine lines for smoother-than-smooth skin! Apply this silky, lightweight balm alone, under or over makeup. Translucent, oil-free formula complements all skintones and helps makeup stay put. Contains a Vitamin E derivative, known to protect skin from free radicals. You’re looking at a powder, ladies and gentlemen. Trust Benefit to come up with such unique, nifty looking products! Of course, it still features SpyGal herself and the tube-like (?) housing is made of a durable plastic with a twist-off cap at the top. At the bottom is where you’ll find the built-in brush. You simply twist to get the brush out and twist it back in after. 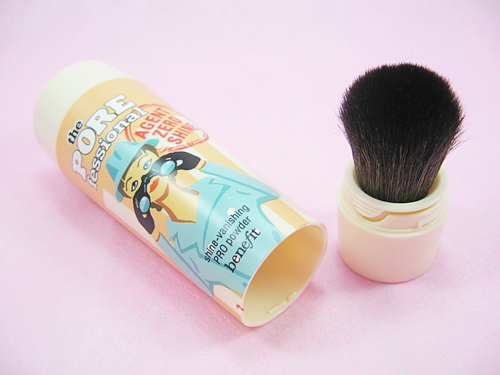 I’m usually not a fan of such small brushes when it comes to applying face powder because they tend to apply the powder in such concentrated spots thanks to their size and it risks making those particular areas on your face look too cakey or powdered up, no matter how much you try to blend, unlike with using a big, fluffy brush. But the powder itself, which I’ll get to in a bit, thankfully doesn’t react with my base makeup that way so it means I ended up quite liking the brush. It’s a great alternative brush too if you’re always struggling to find space in your makeup kit for a big, powder or fat kabuki brush. The hairs of the brush are soft and I haven’t experienced any shedding from it at all. At the top is where you’ll find the powder dispenser itself. 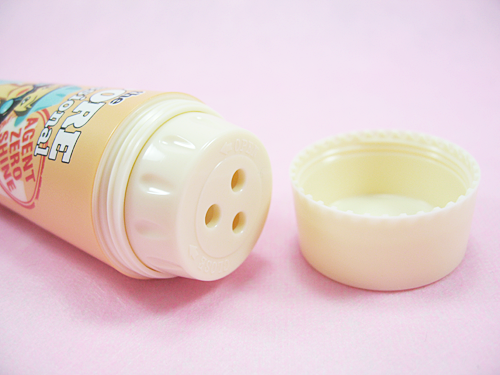 After removing the twist-off cap, you just simply twist again to open the dispenser inside and shake gently so that the powder falls through the holes and into the cap you removed. It’s almost like a mini-pepper mill! 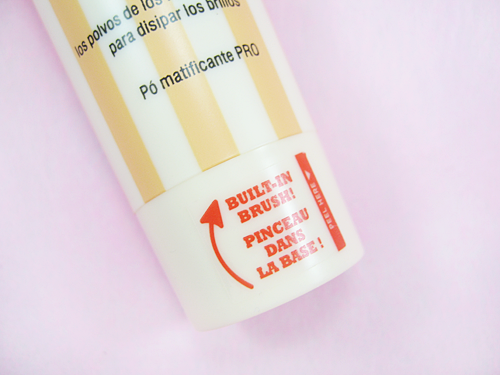 Then, just dip your brush into the cap to pick up the powder and use wherever you need touching up! Simply repeat if you need any more powder. If my explanation is a little confusing, as I’m sure it is, then referring to the illustrations from earlier should help better. Haha. I have to admit, I find the whole process of taking out the brush, twisting open the dispenser, shaking out the powder, etc. more of a hassle compared to using a regular powder compact. Plus, there’s the risk of accidentally dropping the cap and spilling powder. At the same time though, I can still see how all the steps can be appealing to some people. I guess the fact that it’s such a unique method of using powder allows you to overlook the extra hassle. 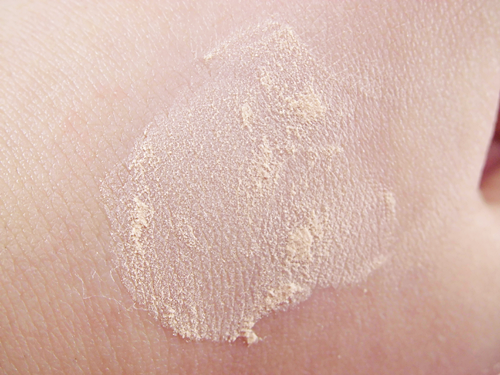 The powder is finely-milled and I know it looks like it has color to it, but once blended properly it goes on completely translucent and blending it in is effortless. During the product launch, I saw other girls of varying skin tones try it out and it all disappeared into their skin easily. 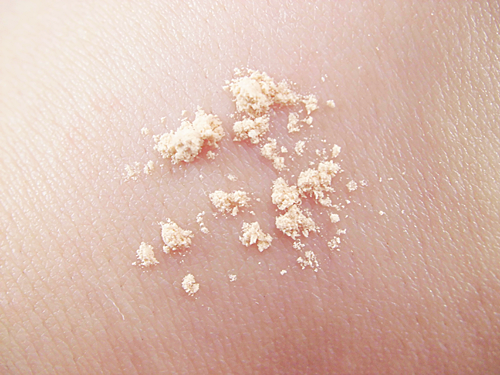 What I like best about the powder is that no matter how much I apply, it doesn’t make my makeup look cakey. It’s also non-drying which is a relief for someone like me with mostly dry skin. So does it do the job? Well, first off, it doesn’t really have a pore-minimizing effect on me. My pores still look visibly large with this on. I don’t have any fine lines yet so I can’t comment on whether it minimizes those either. I also haven’t noticed it keeping my makeup on for longer as the product claims it can do. Then again, if even my setting spray can’t do the job sometimes, I highly doubt this powder can either. 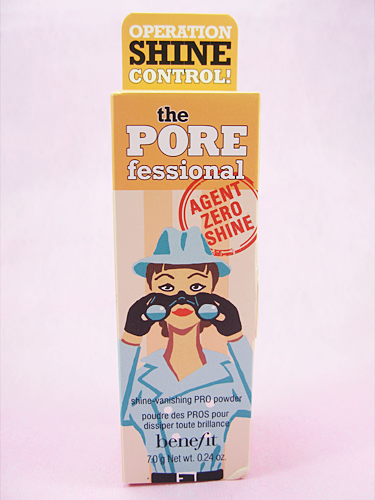 Now as a powder that helps eliminate shine it really does the job. The moment I start applying it, any oily on my t-zone is instantly gone. It’s almost like the powder sucked it all up. I find the finish a bit too matte for my liking, but I know oily-skinned gals or even just those who prefer their complexion completely matte will love it. Now does it keep shine away for me? Yes, but not any longer than other regular (and cheaper) powders I’ve tried before. However, this is where I can’t really fault the product because, as I mentioned earlier, I have dry skin and like a dewy finish and that means I love to use makeup that’s very moisturizing. Of course, as you’d expect, I’d ‘oil up’ more, in terms of frequency too, than I usually do as a result. But even with a regular BB cream that doesn’t claim to be moisturizing, I find that this keeps shine at bay for at most 3 hours. For comparison, whether I’m wearing makeup or not, I get shiny in 2-3 hour intervals. In summary, it’s a decent powder. Packaging and method of use alone makes it stand out from all the other powders out there. But in terms of performance, I wouldn’t call it a stand out then and can easily stick to other, also more affordable, powders which perform the same or a little better. Of course I have read a whole bunch of reviews from other bloggers who have raved about this and swear that it keeps them shine-free for longer, etc. so like in almost all cases, it’s just a matter of a product working best for some people and not for others. If you were going to ask me for face powder recommendations, I would still bring up this product as something to try out, especially since it could very well perform better for you! 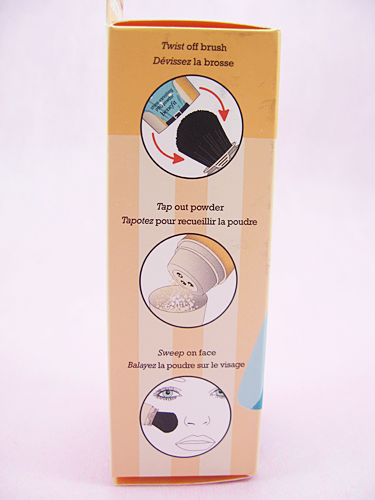 The powder is finely-milled and blends easily. Compact and travel friendly – the twist-off cap also means it won’t accidentally open in your bag. Did not minimize my pores. Did not extend the longevity of my makeup. Does not keep shine away longer compared to other powders I’ve tried. Involves more steps and ‘effort’ compared to using a regular powder. You can risk spilling the powder while holding the cap or when shaking it to dispense the powder. Does not come with a mirror.